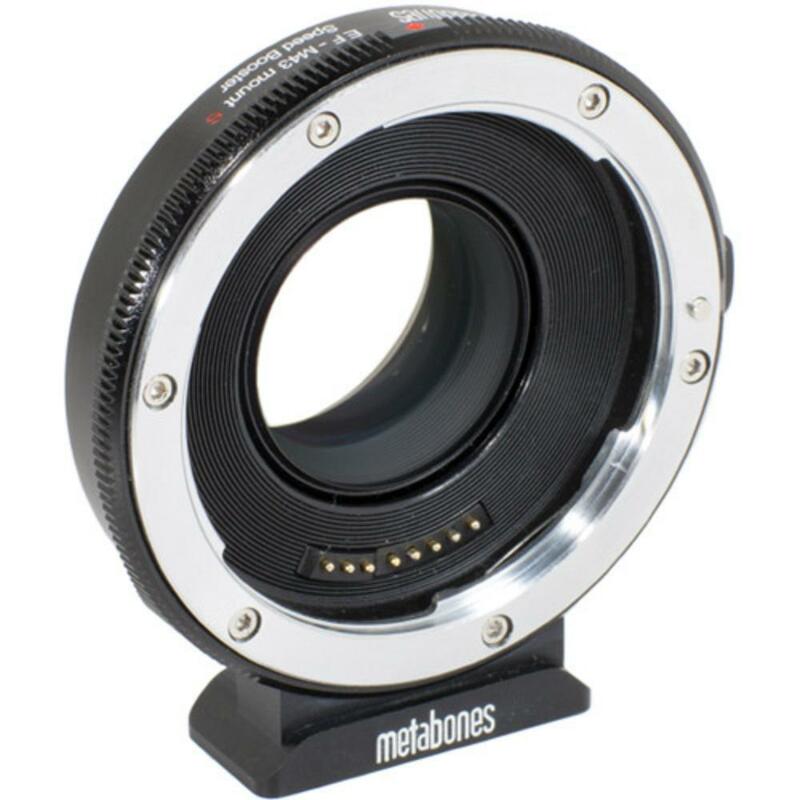 The Metabones Canon EF Lens to Micro Four Thirds Speed Booster "S" Version allows for Canon lenses to be attached to active Micro Four Thirds mount cameras, such as the Olympus OM-D cameras, the Panasonic GH4, and the Blackmagic Pocket Cinema Camera. It is not compatible with the Blackmagic Cinema Camera 2.5K. Details from the lens are transferred faithfully to the camera sensor. This adapter increases field-of-view to give the Micro Four Thirds sensor a full frame viewing angle and increases your lens speed by 1 stop. This adapter also allows lenses to reach infinity focus and is equipped with a high performance 32-bit processor that is powered by the camera, so no external power source is required for use. Autofocus is not retained but lens-based image stabilization is. • Autofocus is not retained when using this Speed Booster. • This Speed Booster is designed for active micro four thirds mount cameras, such as the Olympus OM-D cameras, the Panasonic GH4, and the Blackmagic Pocket Cinema Camera. It is not compatible with the Blackmagic Cinema Camera 2.5K. 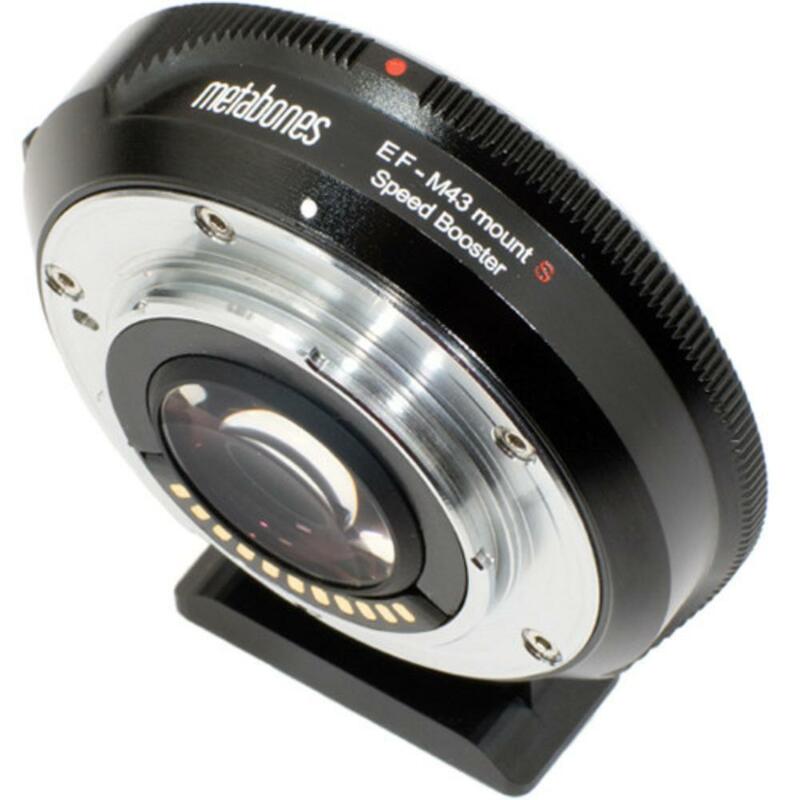 • This Speed Booster should not be confused with its predecessor, the Metabones Canon EF to Micro Four Thirds Speed Booster.